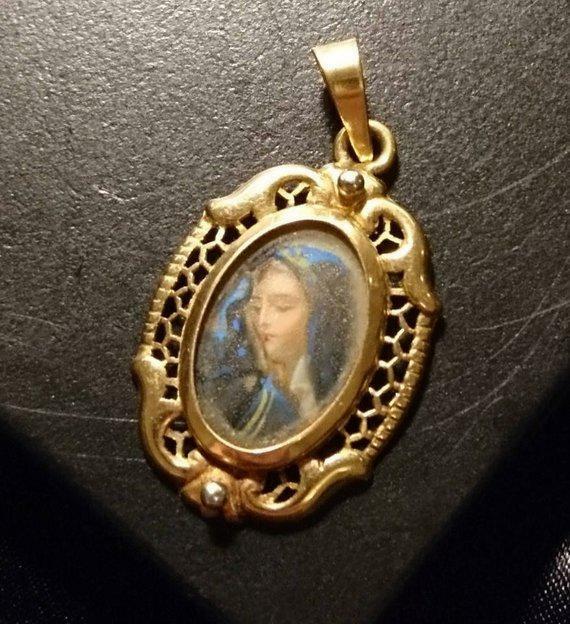 A beautiful antique, late Georgian era picture pendant featuring the Holy Mother, the virgin Mary. 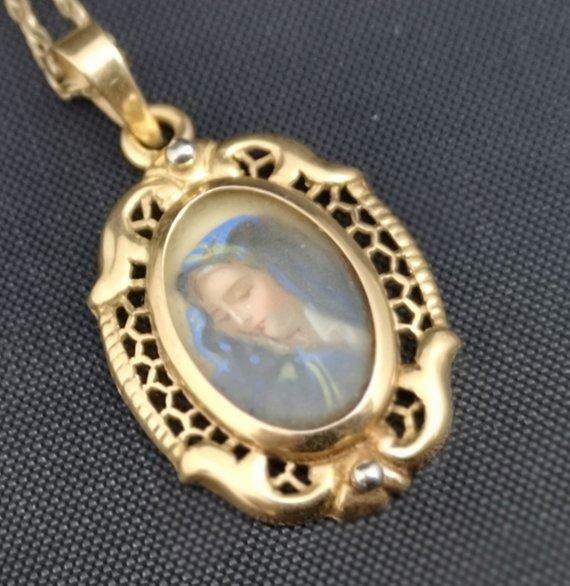 It has been expertly hand crafted in 18ct / 18kt yellow gold in a decorative pierced and scrolled frame, the centre features an image within a rock crystal cabochon of the mother of Christ, she looks very young and angelic in the image which resonates with the a painting of the old masters. 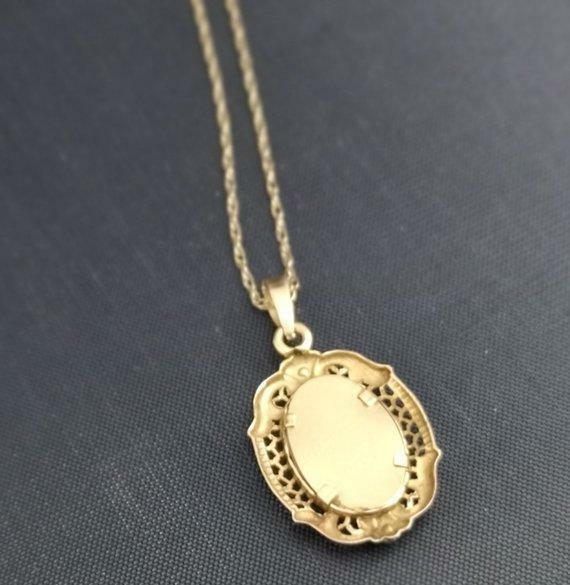 At the top and the bottom there is a silver sphere which adds to the beauty of the pendant and was a common practice in the Georgian era. 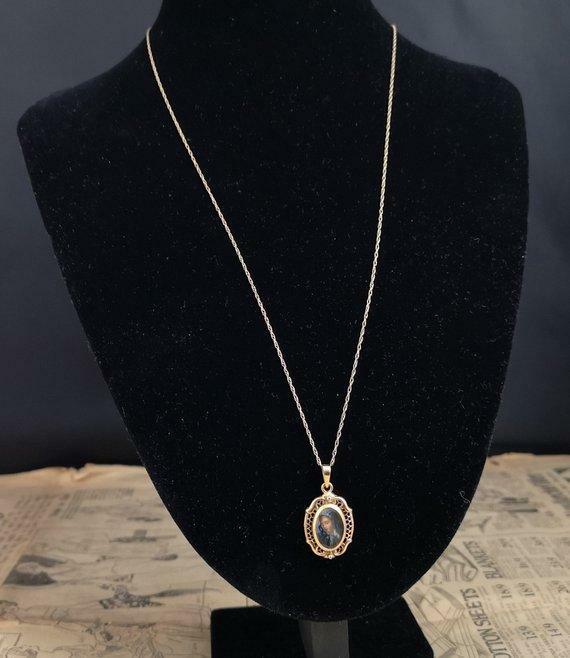 It is stamped to the loop with an import mark which has worn slightly but is likely to be French and 750 for 18ct gold purity, the pendant frame is unmarked but tests all over for 18ct gold, there are clips on the back so that the crystal is held securely in place. 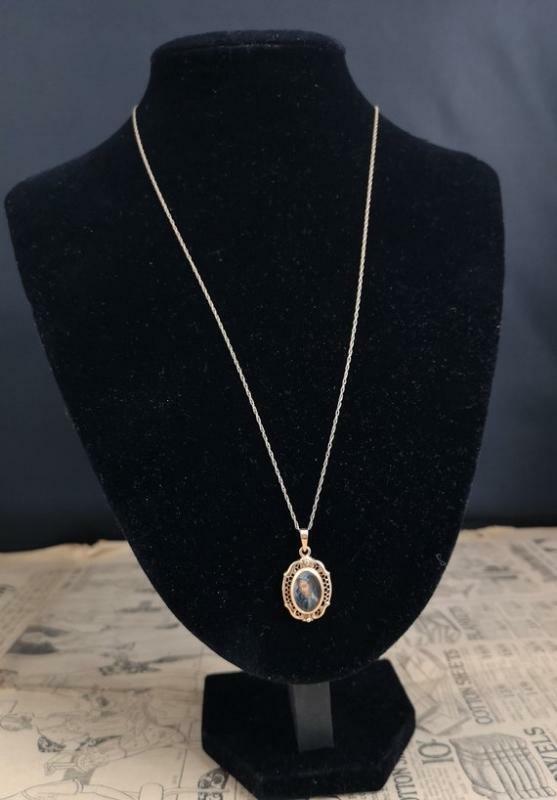 It comes on a later, fine rope twist 9ct gold chain approx 22" in length. 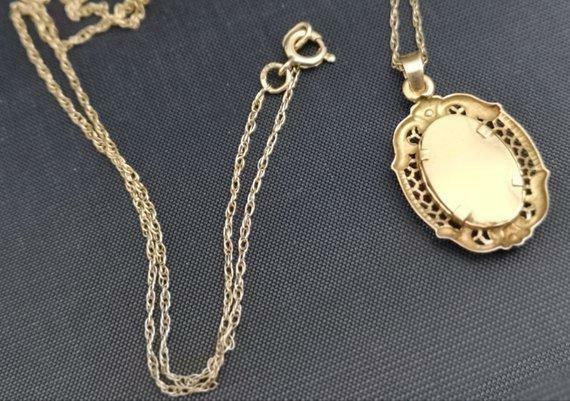 A beautiful antique necklace and pendant. 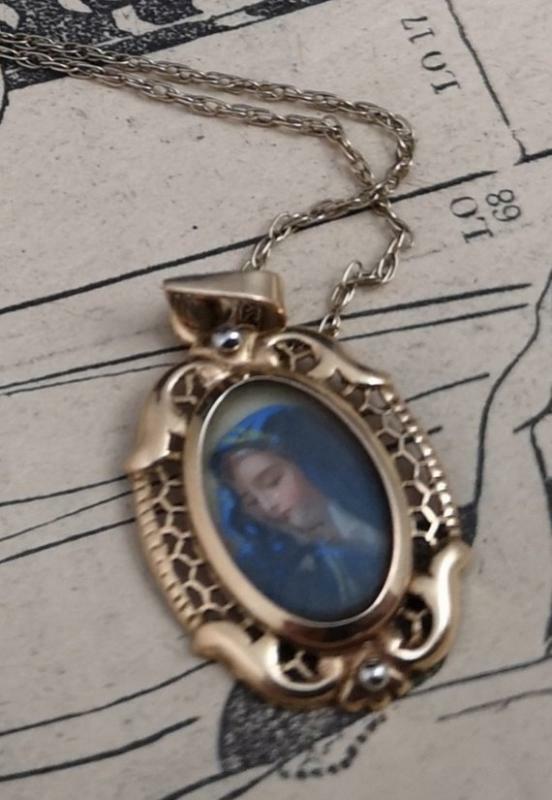 Good condition, some build up of dust under the crystal.